We have been recruiting a diverse group of people into the WSLHD Consumer Council. The program is thriving because our networks and partnerships within the community are growing stronger and the value of our developing relationships between staff and consumer representatives is becoming a clear win for western Sydney communities. Since November 2016, we have recruited 20 new consumer representatives from a diverse range of language backgrounds including Tagalog, Arabic, Vietnamese, Hindi, Tamal, Gujarati, Marathi, Dari and Farsi. The unpaid work of a consumer rep involves collaborating with staff to think, plan, and decide the business we are dealing with every day. How do we help new consumer representatives understand that role and understand the complexity of our work as providers of public health services? Coralie and Tara from the Community and Consumer Partnerships team have been working on a mentoring scheme for consumer representatives. Our more experienced representatives are already sitting on a range of committees and working groups across the LHD. These reps are taking on the new representatives to mentor them in their new role. New reps will be invited to attend some of these existing meetings to listen and learn from the more established reps. After a period of time, they will be able to identify committees of interest to them, which require consumer representation. “Having this opportunity to sit with my mentor helps me gain confidence and understanding of what my role involves. 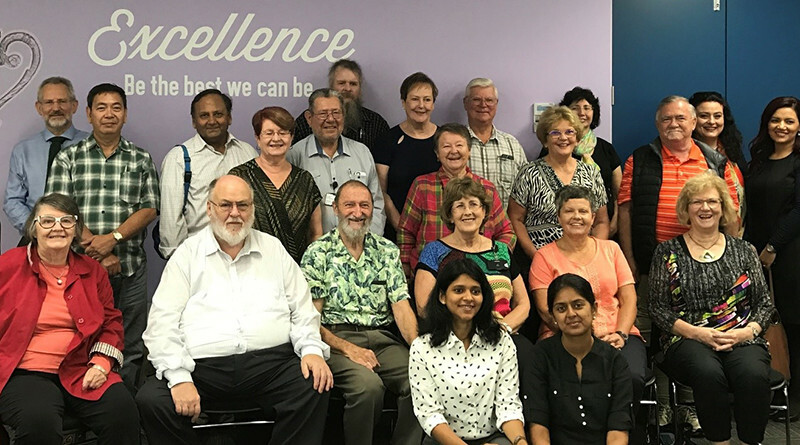 I am very excited by this opportunity and look forward to making a difference for my western Sydney community,” said one of our new recruits at the WSLHD Consumer Council on 4 April.